A prominent Missouri political scientist thinks the state governor race is the most important election in Tuesday’s primaries. Columbia College professor Terry Smith notes the Republican contest is especially competitive because four candidates are so closely bunched together in polling. He thinks Democratic front runner Chris Koster will easily win his primary, and will be his party’s best hope to have an influence on state government. 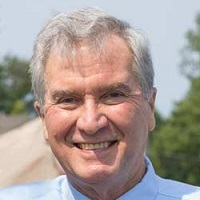 Smith thinks the four Republican candidates, who’ve run bitter campaigns against each other, must unify behind whichever one wins the primary to have a chance in the general election. He says Eric Greitens, who’s a former Navy SEAL, has run especially aggressive ads which the other three have had to respond to. He thinks current Lt. Governor Peter Kinder would be Koster’s toughest opponent in November. Next to the governor race, Smith thinks the primary for Attorney General is one to watch. Like the GOP race at the top of the state ballot, it’s also a toss-up.